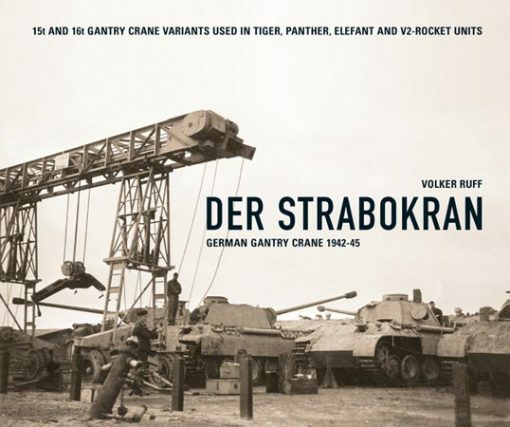 Military History Books, DER STRABOKRAN: GERMAN GANTRY CRANE 1942-45,Volker Ruff via PanzerWrecks,ISBN�9783000340024A4,(V2) rockets,�Vidalwagen� and �Meillerwagen� launch trailers, A DAY WITH AEROFLOT,B. Bugaev, Minister of Civil Aviation,Novosti Press Agency, Moscow, NAGASAKI,Craig Collie,Portobello Books,ISBN 9781846274411,Charles Sweeney,Bockscar,Paul Tibbets, AIR WAR AFGHANISTAN,Tim Ripley,Pen & Sword,ISBN 9781848843561,NATO,Taliban, HITLER'S PRE-EMPTIVE WAR: THE BATTLE FOR NORWAY, 1940,Henrik O. Lunde,Casemate,ISBN�9781935149330. Road gantry cranes were indispensable for maintaining Tiger and Panther heavy tanks and Elefant tank hunter near the front line. An exceptional use for the gantry crane was from 1944 onward with the Division z.V. for loading and unloading of delivered A4 (V2) rockets onto �Vidalwagen� and �Meillerwagen� launch trailers. This book documents the crane�s development history and includes patent applications, descriptions of its use in action with the Panzer-Werkstattkompanien, engineering units and Division z.V. With drawings and close-up pictures, including photos showing the removal and replacement of a Panzer turret, plus a comparison of 15t and 16t Strabokran. Also included for modellers a detailed set of drawings of all variants in 1/35 scale. With a foreword by B. Bugaev, Minister of Civil Aviation, this volume commemorates the 50th anniversary of Aeroflot, the state (and at the time, only) civil air carrier of the USSR. Aeroflot was launched in 1923 with a route from Moscow to Nizhny Novgorod (later the city of Gorky). Today the airline flies internally more than 778,000km linking some 3,500 cities in the Soviet Union, together with an extensive international network. 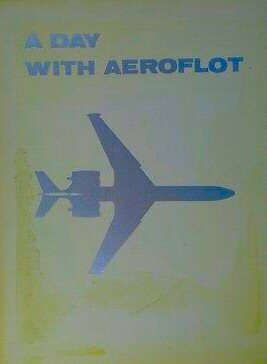 The book is packed with narrative plus several hundred colour and black and white photographs showing all aspects of Aeroflot during a typical day. 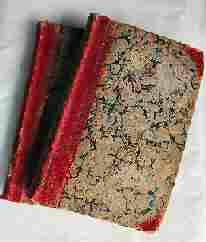 This scarce volume is in fair to good condition despite some dicolouring (sunning) of thefront boardd and slight detaching from the spine at the title page. The events of a few days in August 1945 brought WWII to an end. They also destroyed the city of Nagasaki and killed 80,000 of its inhabitants, half of them instantly. The author interviewed elderly survivors and descendants of the victims, and gathered their recollections together with contemporary diaries and letters, plus details from official documents. 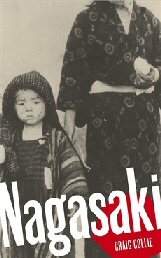 The result is a unique reconstruction which follows ordinary Japanese in the hours before and after the blast to provide a gripping account of the decision-making, the devastation and the loss. An account of NATO and other Allied air operations in the lengthy campaign to secure democracy, destroy the Taliban and other Islamic extremist terror forces in Afghanistan. It contains a mix of explanatory text, diagrams and stunning action colour photography. Tim Ripley has had access to all NATO air bases in the combat area and brings an unprecedented degree of detail and accuracy to this study. After Hitler conquered Poland the British began to exert control of the coastline of neutral Norway, an action that threatened to cut off Germany�s iron-ore conduit to Sweden. The Germans quickly responded with a dizzying series of assaults. Airlifted infantry, mountain troops and paratroopers seized Norwegian strong points, forestalling larger Allied units. The German navy also set sail ensuring that key harbours could be held. The air, airborne, naval, amphibious, infantry, armoured and commando aspects of this brief but violent campaign are covered in meticulous detail.